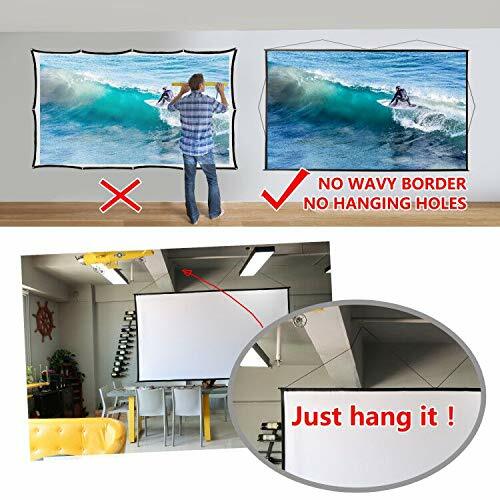 NO WAVY BORDER, NO HANGING HOLES This outdoor projector screen uses 4-bar support to ensure straight frame for perfect full-screen projection. 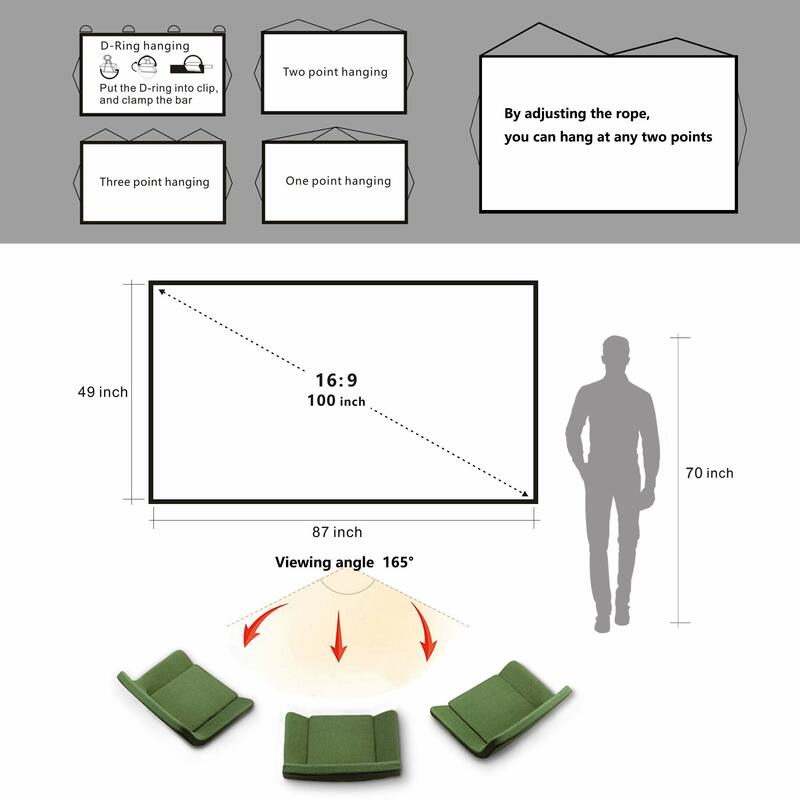 Use fixture to hang and fix, realize no hole border design, ensure screen perfect visual effect. 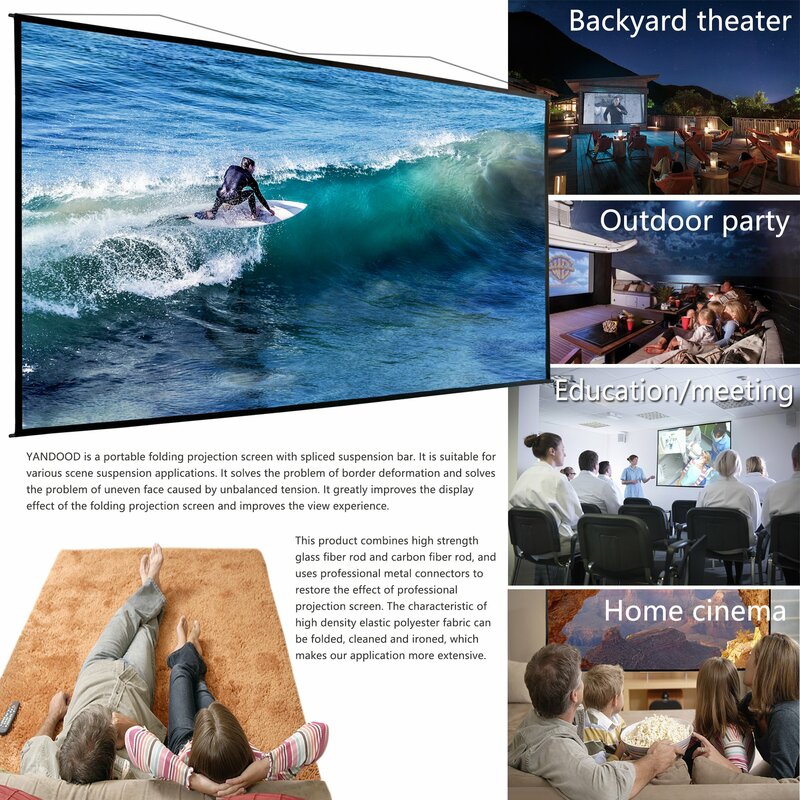 FOLDABLE, PORTABLE, WASHABLE AND CAN BE IRONED This projection screen is made of high-density elastic polyester fabric. 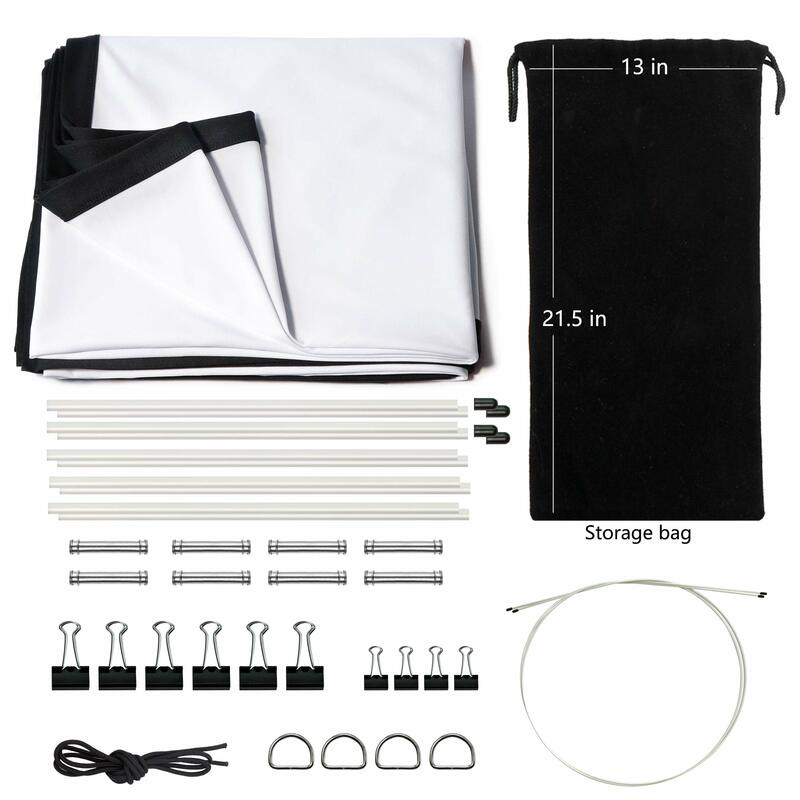 It can be folded at any time, easy for outdoor carrying and indoor storage. 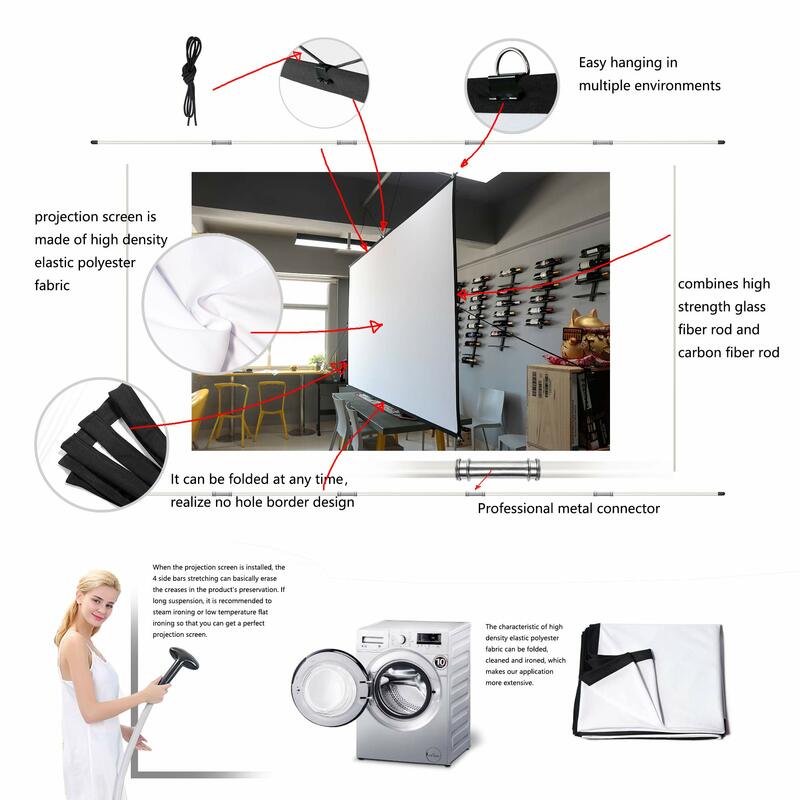 It can achieve the perfect flat screen by low-temperature ironing. 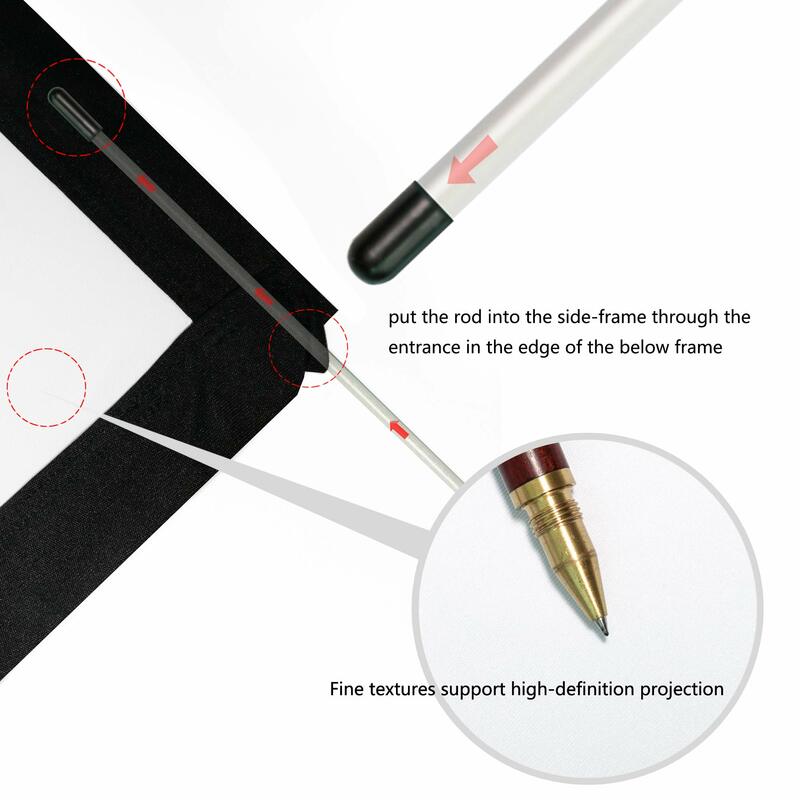 SMOOTH SCREEN BY 4 SIDES POLE STRETCH The upper and below poles use professional connectors to ensure multiple bars jointed to be very straight. The sidebars are made of high elastic glass fiber. Long-term curl is not deformed. 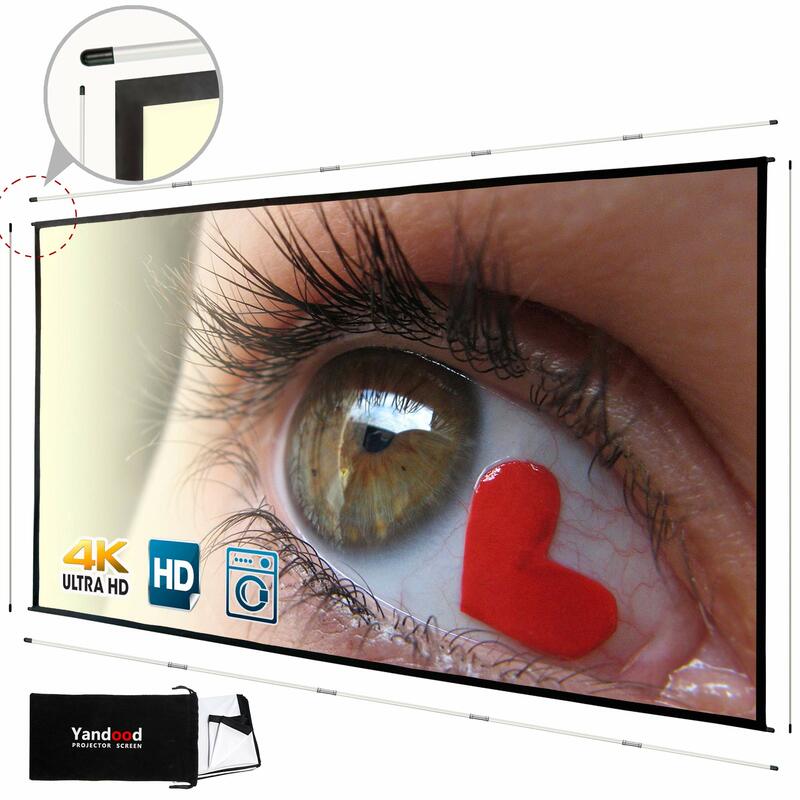 The 4 sides are stretched by the bars to eliminate creases, and a smooth screen can be achieved even without ironing.